If you are seriously in the market to find cars for sale in south bend indiana, then you should come and see us here at R&B Car Company. We have a vast inventory of used cars and trucks so finding something that you like is a breeze. From the moment you arrive at our dealership, you will see the difference. We have so many makes and models of cars, you may seem to be overwhelmed at the sight of so many cars, but we make things simple for you here at R&B Car Company, by getting to know you as a customer and find out what it is you are in search to find. We want to know your style and personality so we can get a better understanding of who you are and what you want. Our sales team is trained to have outstanding customer service so that you dont leave our dealership unsatisfied. We will do everything we can to help you find used cars south bend, that is your style and affordable for you. If you are looking for a specific make and model perhaps a Dodge Challenger? We have this2015 beauty waiting here for you. This Challenger could be the perfect car for you if you're looking for something sporty and classy at the same time. Maybe you dont need a big family size car and want a 2dr. If so, then you have to come by and check out this fantastic car! You will love the features such as Heated Leather Seats, Steering Wheel Controls, Cruise Control, Power Windows, Power Door Locks, AC, Automatic Transmission, Navigation, Bluetooth Connection, and Wifi Hot Spot. You will also appreciate the Rear Parking Sensors, Keyless Entry, U-connect Infotainment System, Multi-zone Climate Control, Voice Command Features, and many other beautiful features. 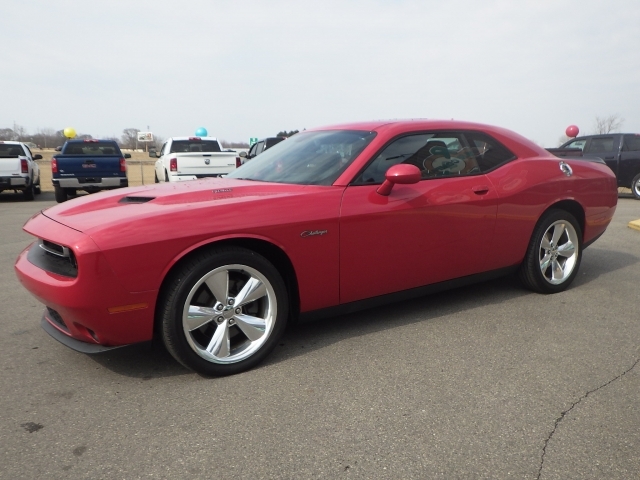 Come by and see us here at your local used car dealers south bend, R&B Car Company and take a look at this 2015 Dodge Challenger if you want to find a fantastic car with so many options for you to enjoy and appreciate. Whether you are looking for modern or older used cars for sale, you can find such a beautiful selection and variety here at our dealership. There is no need to drive all over looking for a vehicle that you want when you can stop by and see us. We have the kind of cars that you expect to find when you visit south bend indiana car dealerships, R&B Car Company. You will find quality, reliable used cars, trucks, vans, and SUVs. There is something for everyone, every style, every preference. So dont drive around on the hunt for the perfect vehicle for you, make one stop, and that is here at our dealership. Our sales team will be here to assist you when you need them, and we look forward to your visit and being able to provide you with outstanding customer service and the kind of cars that you want to see! We hope to see you stop by soon!